What separates the best project managers from the rest? You do try to motivate and care for people. The atmosphere in the team is fabulous. Nevertheless, they disengage too often. The team stops developing. You fail projects. It happens because you focus on a wrong set of your responsibilities. Here is how I remember my initial periods as project manager. It is just the same as I saw it many times with others. I had a small team, a minor project. At that moment I knew little about project management. I had some knowledge and experience working with people. That is all. My mentor told me, “First of all you need to build strong relationships with your team. With that, you can finish any project.” Most of the resources and books on project management for beginners suggest the same. It is a valid advice to some extent. So here is the problem. You built great relationships with the team. It is very pleasant to work with them day after day. You resolved (or most likely smoothed) all the serious conflicts with them. Therefore, you do not want to change anything. In Maslow’s Hierarchy of Needs, love and belonging are just a midpoint to motivation and engagement. Herzberg’s motivation-hygiene theory also state that work conditions are hygiene factors, not motivators. In the long run, healthy relationships and team spirit are not what drives people at work. Therefore, it is not what you need to focus on. Our primary goal is not to make people happy. We must create an environment where people will be able to make themselves happy. It gets us to the point where we need to focus on counterintuitive aspects of motivation. However, there are no black and white here. In the long run, we need to achieve project objectives and finish it in time. Therefore, it is always a balance of care and candor, project and people management. As a project manager, you have particular talents. That means that you are willing to do things others do not like. On the other hand, you have knowledge of what makes people happy. Not what they perceive as happiness. Quite a strong statement, isn’t it? 1. Build Project Management Framework. People do not like ambiguity and uncertainty at work. Especially when it may impact their career. On the other hand, they do not like strict control and tedious work. Therefore, it is your main responsibility to set the boundaries and define zones of freedom. It is not the same as enforcing the rules just because you know how to manage a project. You do need to select processes, tools, and techniques. However, you also must “sell” their value to the team. Rules should be meaningful, valuable and necessary. Moreover, you must maintain the rules and adjust them as the team develops. There is one more thing you need to know. No one cares about processes and policies on the project except for you. Moreover, they will try to delay it as much as possible. You will do them a great favour by organising and smoothing these activities. Also, it will save you from unnecessary risks. Therefore, I believe the best project managers are the connectors. They help people with different domain knowledge, skills, and characters interact with each other without stress. Goal setting is necessary for initiative team member as well as for passive ones. It is not enough to communicate the next tasks a person should work on. It is boring. People need to feel they are working towards a bigger goal. They want to contribute. On the other hand, goal setting helps to delegate work. When people know the direction and context, it is much easier to explain the tasks at hand. Also, it opens up opportunities for initiative, improvement and innovation. You know, people start thinking on their own when you do not tell them how to do it. They start to feel ownership. When do we get the most satisfaction from work? It is when we accomplish something meaningful, challenging, and without external help. Think of an immediate solution that comes to you for a problem that no one knew how to solve. Do you feel energised and happy at such moments? For sure you cannot supply the team with such activities on a daily basis. Nevertheless, you need to load your team with work close to the limit of their capabilities and skills. Otherwise, they will soon get into the comfort zone. Not many motivators work there. Therefore, let your team do the work. Without you. Without your control. For sure, you do need to control them. However, there are other ways to do that. Let them report to you on daily stand-ups or in a written report. Yes, it does require some trust from your side. Moreover, it requires training and coaching efforts from you. At first a draft of the list of “don’ts” was huge. However, I had several weeks to think it over. One by one I removed them from the list. Even the best project managers can apply them to good use. Again, it is never black and white for us. Therefore, I ended up with only three real “don’ts”. The best example is working with graphic artists, designers, or any other creative type of people. There is a drawback of the ultimate responsibility for the project. You may feel that you know everything better than the rest. At least in areas that you can comprehend. Therefore, you start telling the designer what the exact design should be. On the other hand, now designer must manage your expectations. He must create a great design (for sure your design is a disaster), quite close to your input. Moreover, he must ensure that you like it. Both of you do the wrong things. Therefore, try not to tell how to do. Ask for the result that you expect to get. Ask for different variants or approaches. However, don’t tell them how to do their work. We tend to feel more comfortable when we have complete control over the project. It may require tremendous efforts to maintain it. Nevertheless, we suffer but keep to the controlling patterns. Do you need to know how much time a person spent on your task today? Do you have to control it personally? There are other ways to control things. How about developing responsibility and trust? For example, a team member does not need to report anything while he is on track. He or she should log the progress in the task tracker and record efforts personally. The project manager can always see the status there on his own. Sync up once a day. Yes, that is scary at first. Moreover, again it requires some training and teaching from your side. It is the worst thing you can do. Getting along with conflicts in your team is a strategy for failure. It hurts the most in the long perspective. However, it is even more important to resolve conflicts. Do you tolerate troublesome team member? Simply because you are a good project manager and care for people. You do believe in his or her good aspects. However, is it for good? Does anyone benefit from it? Do you keep to outdated approaches, tools and policies? Do you ever question them? Do you keep to an inefficient project management methodology just because the client wants it? Moreover, you do not want to stress him too much. It just works, right? These are just a set of common conflicts that we try to avoid. There are scores of smoothed and avoided conflicts in your team, with your stakeholders, and your management. 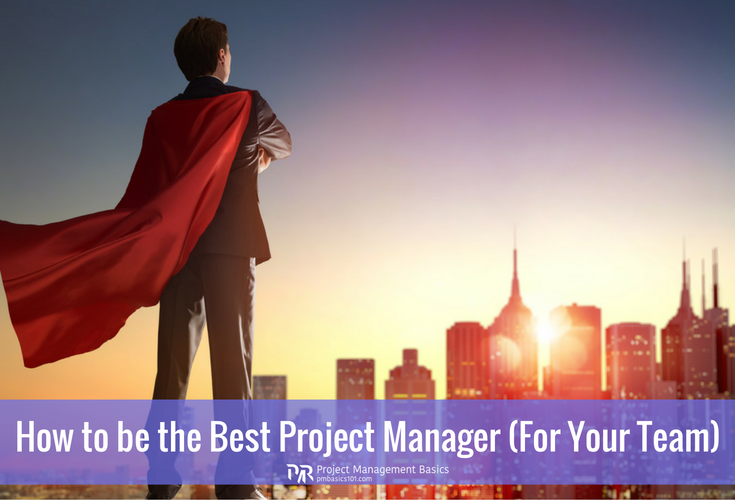 Best project managers are not afraid of surfacing problems, pushing pain-points, and adopting changes. As you can see, I suggested nothing about making people happy, trying to make them like you, or making friends. On the contrary, I say – make them work hard! Just force them to feel meaningful, challenged and contributing to a greater good.